This Citroen Grand C4 Picasso is available in Silver, Black, White, Red, Blue other colours and lease options, subject to availability and includes a warranty. Well-priced and -equipped seven-seat MPV with excellent diesel engines. Even with all seven seats in use, there's still some boot space. The massive space and the flexible, user-friendly seating makes the Grand C4 Picasso the most practical family-ferry you can buy. Interior quality is good and forward vision is excellent. Services include; Road Side Assistance, Road Fund Licence, Contract Management, Fuel Card. Which Citroen Grand C4 Picasso are you going to lease today? We offer top quality Citroen Grand C4 Picasso from brand new, nearly new, slightly used or ex demo, whether you have good or poor credit rating, pay a low or no deposit. These Citroen Grand C4 Picasso can be leased or financed and come with a warranty, HPI checked and when contract hire leasing, include UK nationwide delivery and AA or RAC Roadside Assistance cover for peace of mind. Time4Leasing can offer you the latest Citroen Grand C4 Picasso lease deals at lower prices because these vehicles are exclusive and offered at lower rates to customers that have good, poor or even bad credit history score ratings. There's a lot to like about the Citroen Grand C4 Picasso. From its bang-up-to-date looks and well-thought-out cabin design to fine diesel engines and seven seats that can be slid back and forth to vary kneeroom, the Grand Picasso is a good bet for families who need plenty of space and versatility. There’s still a bit of boot space with all seven seats in place, and most of them can be dropped to give a huge, flat loadbay. The 1.6- and 2.0-litre diesel engines are reasonable for economy (particularly the 1.6 eHDi unit that comes with a stop/start system), and they also provide good low- and mid-rev response. The automatic gearbox has a jerky action as it moves between gears, so is best avoided. 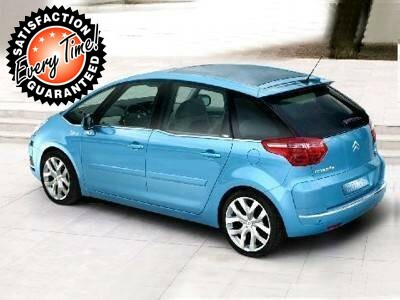 There are 40 Citroen Grand C4 Picasso Lease Deals on Offer.